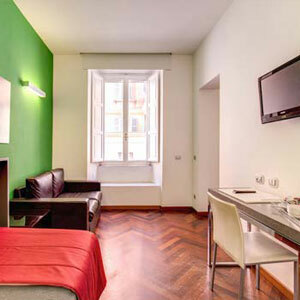 The Residenza Borghese Rome offers 16 chic designer apartment rooms in the up-market district of Rome near Via Veneto. Situated over two floors of a historic Italian palazzo, our swish modern rooms and apartments offer a sophisticated environment that affords guests every privacy and comfort. 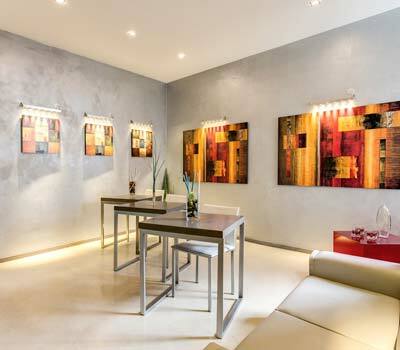 Our high quality rooms and apartments decorated and furnished in a chic contemporary style offer the perfect fusion of functionality and comfort. Guests have all the advantages of a hotel but with the privacy of their very own home from home. Newly renovated and equipped with the latest mod cons, take a look at our Rooms page or Photo Gallery page for more detailed information. 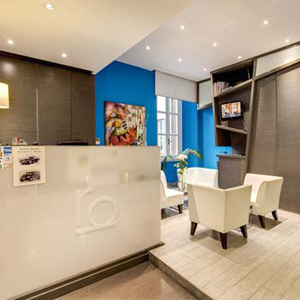 To complement the privacy and independence offered by our plush apartments, our highly trained multi lingual staff also offer a host of hotel services to ensure total comfort for our guests. These services range from 24 hr reception services to special dry cleaning. 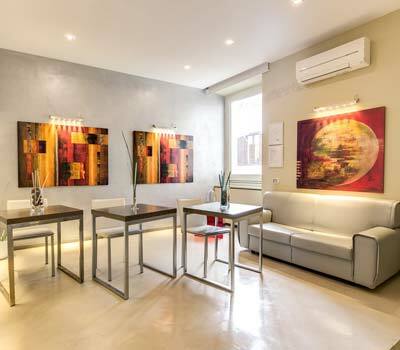 Visit our Services page for a more detailed description of what we offer and learn just what a great value for money accommodation option we are in the heart of Rome. 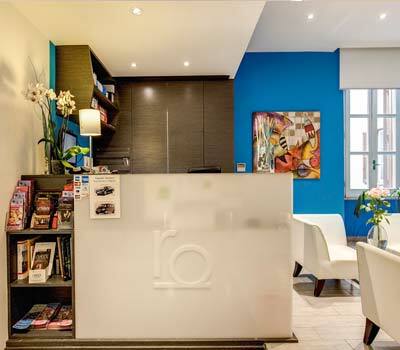 Positioned in the prestigious area around the famous Via Veneto, we are situated in the historic and commercial centre of Rome. 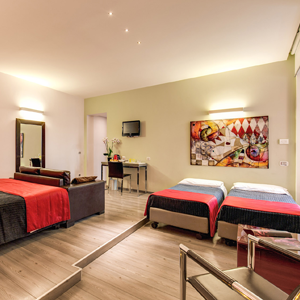 This means that we are walking distance from many of the main sights and attractions including the Spanish Steps, Piazza Barberini, Villa Borghese and the Borghese Gallery. Learn more on our Location page for more information and an idea of just how central we are. Visit our photo gallery page for a more visual representation of what we have to offer and see for yourself what fantastic accommodation awaits you and what great value for money we are. By booking through our 100% secure booking system on this, our Official Site, you are guaranteed to receive the lowest possible prices available anywhere on the web. So what are you waiting for? Book Now!